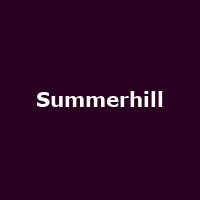 Summerhill are a Scottish jangle-pop band formed in 1987 by former members of Snakes of Shake. They released their debutr album, "Lowdown" in 1989, followed by "West of Here" in 1990, after which they split-up. They have reformed on a number of occasions, including 2017.